As part of its promotional activities for the N8, Nokia is releasing a series of overview videos presented by Chris Bennetts, a Senior Product Manager at the company. The second video covers the Photos, Photo Editor and Videos Editor applications as well as USB On-The-Go functionality; rather than just linking to it or embedding it, we've broken this video down in detail to offer you some insight into the N8's photo and video software. Read on for further details. In the video, Chris Bennetts, Senior Product Manager, gives a detailed tour of the Photos application, the photo and video editing applications and the N8's innovative USB OTG functionality. Here is our earlier breakdown on the first video, which gives an overview of the Nokia N8, covering the homescreen, messaging, Internet and Maps. There's one more N8 overview video to come. This first image (below) shows the revamped Photos application, which is used for browsing photos and videos. Photos can be viewed in one big group, by month, by album (user assigned), or by tags (user assigned). Photos are shown in a grid layout, which can scrolled kinetically. 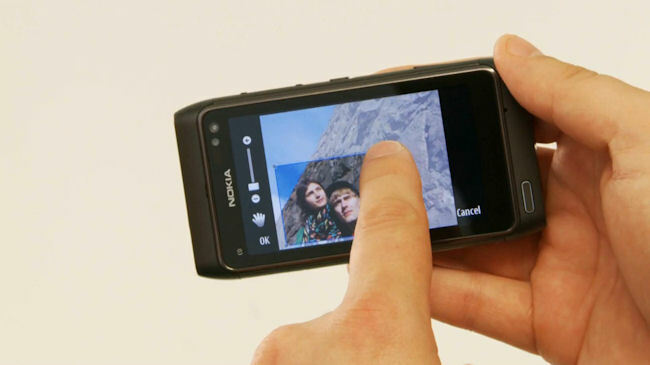 Accessing any photo requires a single tap (in line with Symbian^3's direct user interaction model). The toolbar (with its new narrower style), on the right-hand-side of the screen, gives access to the key functions (slide show, select, send). Thanks to its improved processors (most notably the new graphics co-processor) and the re-architected graphics engine in Symbian^3, performance is much improved from earlier Symbian devices. Additional commands can be accessed by a long press (touch) on the screen, which brings up a context sensitive menu: 'Send', 'Delete', 'Slide show', 'Edit', 'Add to album' and 'Add tag'. The idea behind this approach, with its flatter hierarchy, is to give quicker access to additional functionality (contrast this with the multi-menu/multi-screen approach on earlier devices). When viewing photos in full screen mode, you can flick left or right to switch between the different photos in the current view. For videos, a thumbnail is shown, with an associated Play button in the middle of the screen. 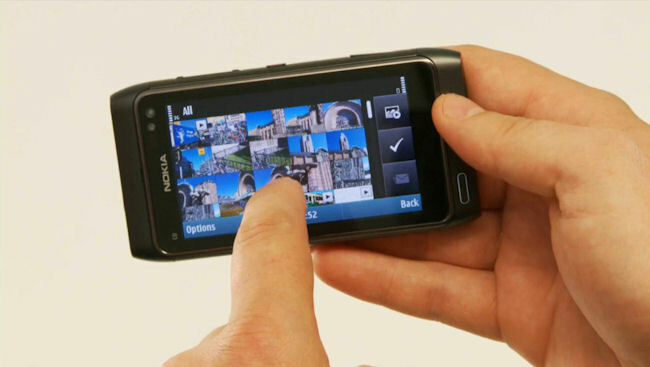 Thanks to both the N8's capacitive screen and underlying enablers in Symbian^3, multi-touch gestures are supported by the device. In the Photos application, this is used to provide 'pinch to zoom' functionality. This is notably smoother than the step-wise zoom found in earlier version of the Photos application. Performance is again impressive, especially when you consider that the photos used in the demo are the same large 12 megapixel (multi-megabyte) example images that Nokia published shortly after the N8's release. 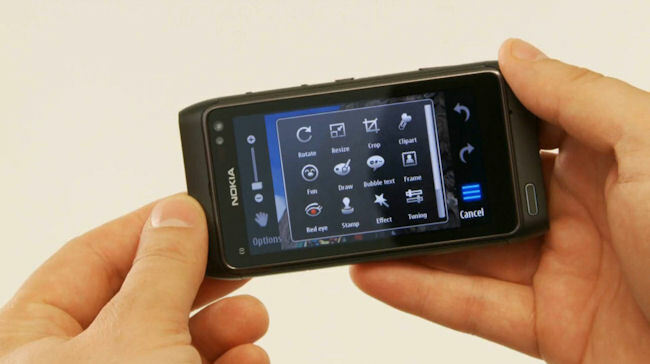 Multi-touch gestures are used in relatively few instances on Symbian^3. However, the platform has a gesture framework built in, which means developers can use multi-touch in their own applications and can define any number of gestures that they desire. The Photo editor application shipped with the N8 provides a good range of basic image editing tools: rotate, resize, crop, clip art, fun (smilies), draw (pencil), word bubble, frame, red-eye, stamp, effect (seipia, back and white etc. ), tuning (colour levels) and animation. There's an emphasis on adding extra elements (clip-art, stamps etc.) rather than full scale image editing, reflecting the fact that the primary use case is adorning images that will be sent to friends via MMS, email or Bluetooth. The Photo editor application has also been updated in line with the new UI guidelines in Symbian^3 (direct UI interaction, finger-touch friendly, thinner tool bars, flatter command hierarchy). Shown below is an example of the crop tool in operation. Both this, and the resize tool, are going to be essential, in some circumstances, given the large file sizes produced by the N8's 12 megapixel camera. What's most notable here is the focus on simple operations, driven by direct touch interaction. Here's another example, this time showing the same image (cropped) with a frame applied. A piece of vector clip-art has been applied - note how there are 'handles' for changing the size of the clip-art and a 'grab-area' area to rotate it. There's also a context sensitive tool-bar along the bottom of the screen, which gives further tools for fine tuning the image editing process. 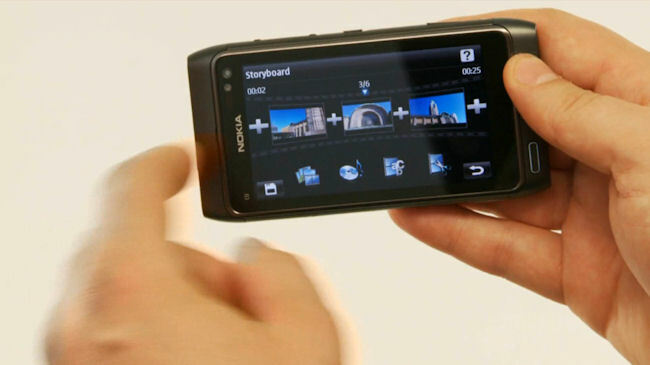 Along with the image editor, the N8 will also ship with a powerful video editing application. Combined with the N8's HD (720p) video recording abilities and the ability to upload via the cellular network or via WiFi, this will make for an extremely powerful mobile video solution. When opening up the video editor application, you're given a choice between a full video editing experience and creating a video slide show from still images. The still image-based editor allows you to combine a series of images together, add music and apply Ken Burns effects. The full video editing experience is showcased in the images below. The video editor uses the standard 'storyboard' style editing process. Videos and still images can be added to the storyboard by selecting them from pick lists (grid view thumbnails). Each element that is added to the storyboard is given its own slot so that it can be individually edited. In the storyboard view there are a collection of icons along the bottom to access the key editing functions: add media, add music, add title (text), add transitions. Here's an example of a text title being added between two clips. It is possible to customise the colour, size and the display angle of the text. Similarly, transitions, such as swipe and fade in, can be applied between the videos and images making up the final video. As in other areas, all of this is achieved using the direction interaction paradigm - no multi-tap in Symbian^3. Editing functions can also be carried out on individual items on the storyboard. In the example below, the video item is being clipped so that only a portion of it is played back in the final video. Although we can't make a final judgement on the video editor until we've tried it out for ourselves in real world situations (some live video from Nokia World in September perhaps) it does, in this preview, look very promising. 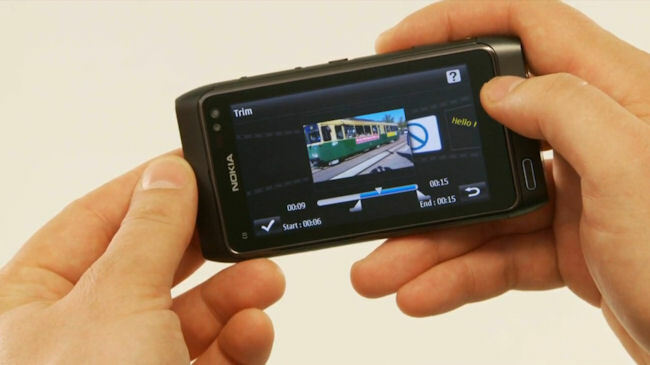 Nokia provided a powerful video editor on the Nokia N95, licensed from a third party, but video editing took a back seat (or was removed entirely) on later devices, so it's making a welcome return on the N8. The N8's video editor, along with the high quality optics and smart video zoom in its camera and the ability to output HDMI video (with Dolby Surround sound) will make the N8 one of the most sophisticated and complete mobile video solutions ever seen in a mobile phone. 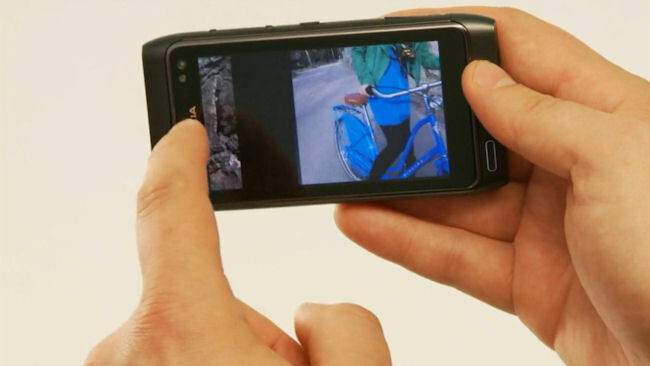 The final portion of video gives a brief mention to the N8's USB OTG (On The Go) functionality. This allows you to plug in any USB mass storage device to the N8 and see it as extra drive in the file manager (G: as shown below). The file manager can then be used to copy files to and from the device (C: drive, the 16GB of internal memory, or the microSD card slot). The most obvious use case is USB memory sticks, but it can also be used with hard drives (external power will be required in most instances) and mobile phones with a USB Mass Storage profile (any of Nokia's recent Symbian devices), and many other devices. 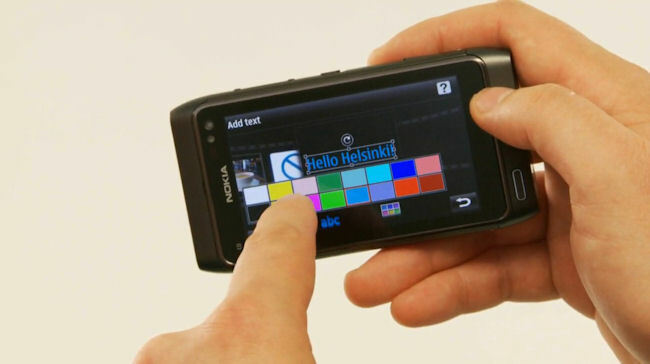 That concludes the second of Nokia's N8 overview videos. We'll have more N8-focussed content next week. 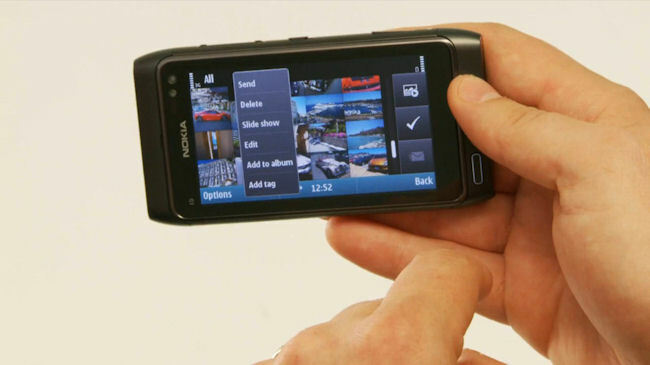 What does the internet think of the Nokia N8?